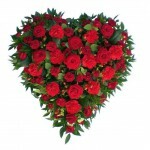 We have same day express delivery if you need to send flowers quickly. Say it with flowers. 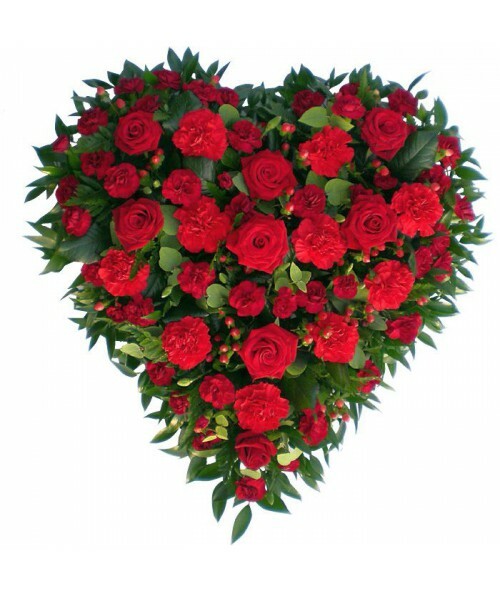 You pay no commissions because we are the local Czech florist. We have been here for you since 1991. Are you in your thoughts close to your family, relatives and friends at this difficult time? Flowers will say it. Funeral heart There are 2 products. Funeral heart in red colours 50 cm in a diameter. For delivery in Brno you can choose all colours of ribbon. For delivery in the Czech Republic you can choose only black and white ribbon. 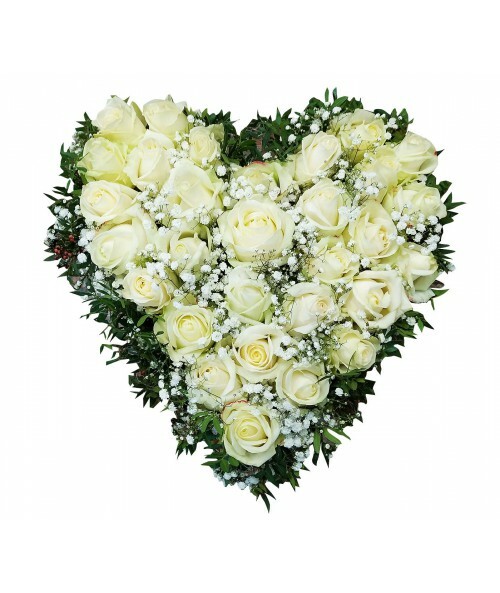 Funeral heart in white colours 40 cm in a diameter.